We often become so absorbed in the grand landscapes around u that we often overlook the macro world. When looked at closely they reveal natures secret landscapes, equally as fascinating as their large scale counterparts. 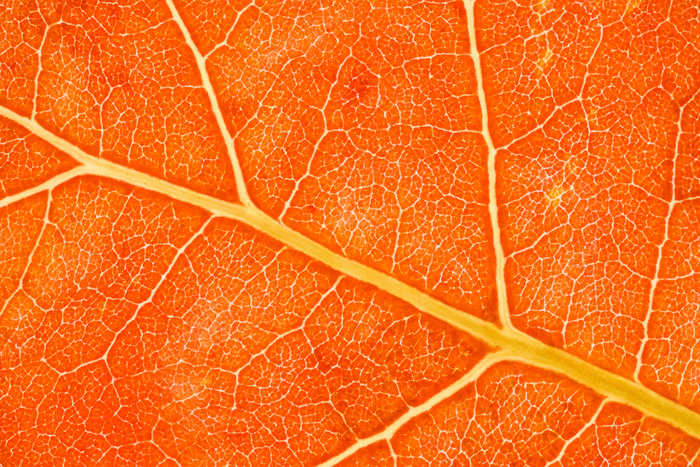 The leaf patterns echo the branch structure of the trees that bore them, while the blazing orange suggests a fiery sunset.